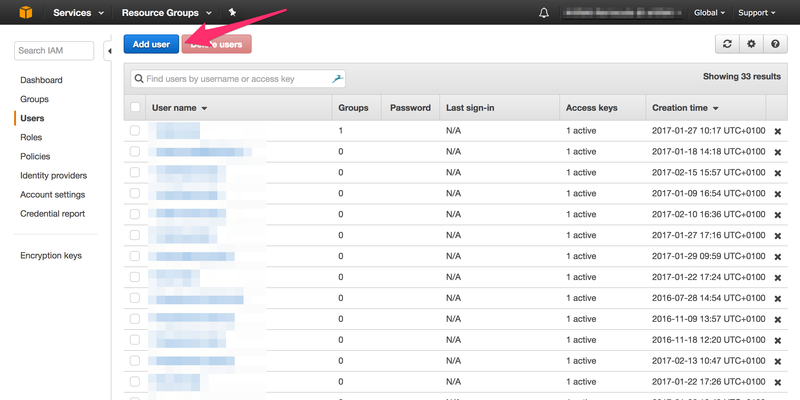 If you don't have a cloud account yet, you can create it clicking on the " + " or on the button near My space and click Cloud accounts. 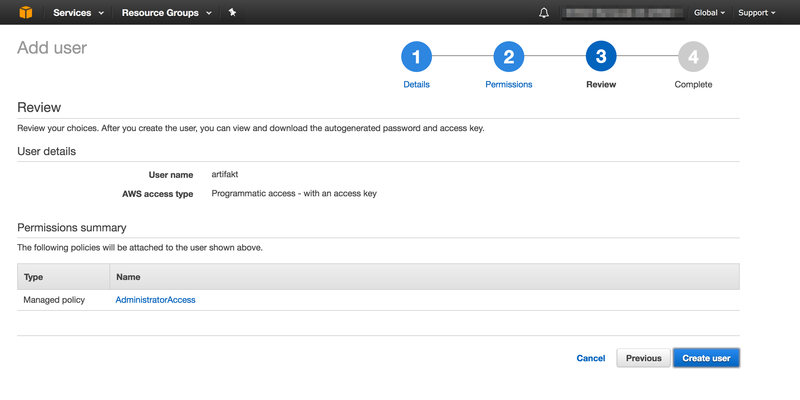 Here, you have 2 ways to link your Cloud account to Artifakt : copy/paste your access or upload a CSV file given by AWS. 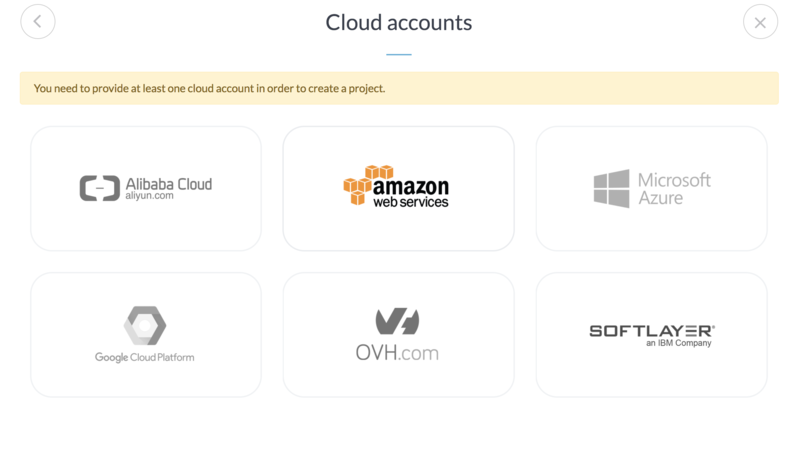 Name: chose your Cloud account name (no restriction). 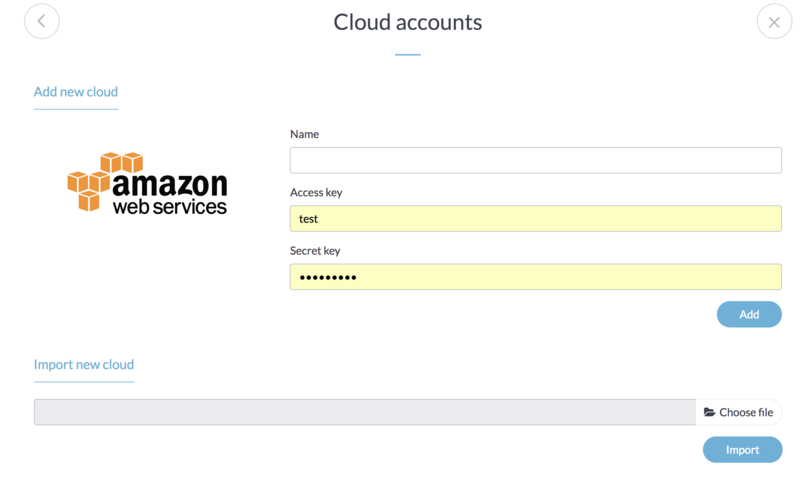 Access key and Secret access key: provided by AWS. How to create these access ? / ! 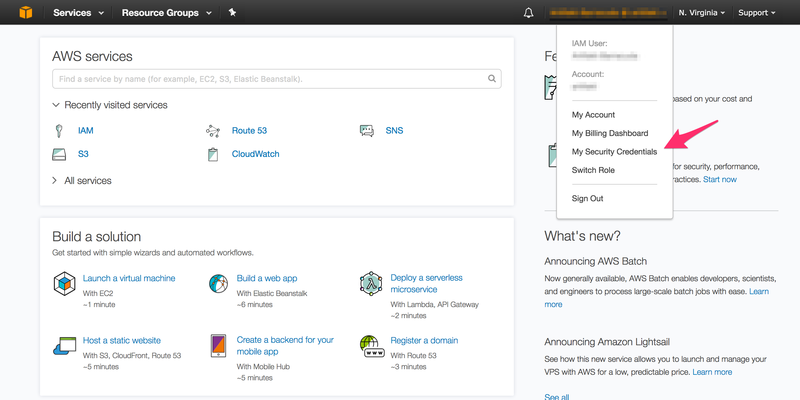 \ FIRST, BE SURE YOUR AWS ACCOUNT IS CONFIRMED AND VALDIATED. Click on « My Security Credentials » in the drop-down menu at the top of the page. Click on « Add user ». Add a user name (we strongly recommend you to enter "Artifakt") and tick the box « Programmatic access » of the Access type section. 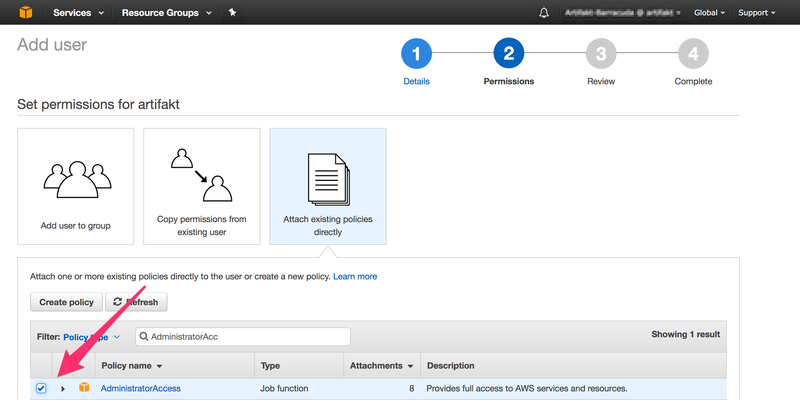 Choose « Attach existing policies directly » and « Administrator access » (use the search bar for quick and easy use). If you want to have a specific and secure policy please read this article : What is the AWS policy for the IAM user Artifakt ? 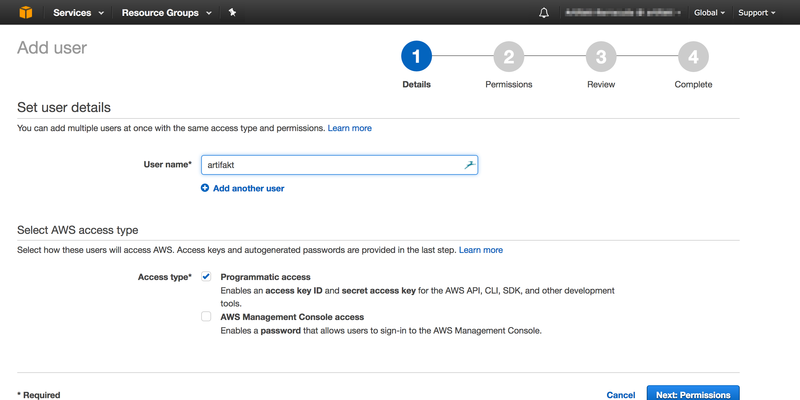 You only have to click on « Create user » to get the page with access keys and CSV file to upload (using the method you prefer to create your AWS account on Artifakt. You can now Create your project.